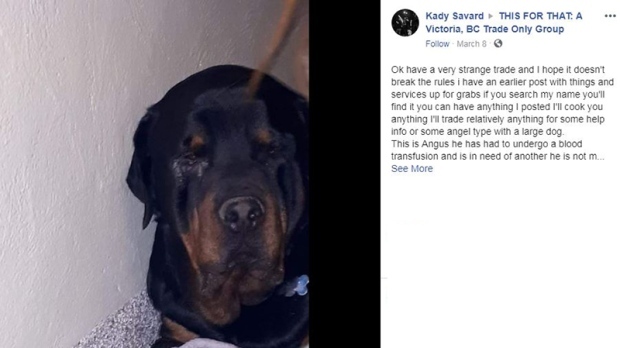 A single post on a Victoria Facebook trading group has garnered a lot of attention for the woman who posted it — and her friend's ailing dog. Kady Savard wanted to help out a close friend whose dog, Angus, is sick. Angus is a six-year-old Rottweiler who has an autoimmine disease, causing his condition to go downhill quickly. 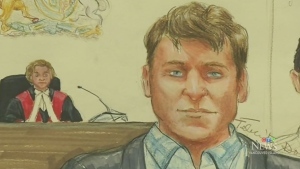 "He's beautiful, sweet-dispositioned, just loves everyone,” said Savard. But his system is attacking itself. “He can’t be around other dogs right now, he can’t get too excited, if he gets a nick and bleeds, he could bleed out," she explained. Two emergency blood transfusions saved Angus’ life, but while waiting for a third, his family was told there is no more blood available. So Savard went to the Facebook page "This for That" offering what may be one of the most unusual trades ever put on the site. She asked for dog blood donations, saying in return she would cook someone a meal. Savard wrote if that wasn’t suitable, she would do almost anything to get the dog blood Angus needs. "…in exchange I will cook bake sing you a song you can have any item from my post in trade," she said. The next thing she knew, she was being bombarded with offers. The difficulty is that the only candidates for donatiosn are large dogs over 55 pounds between the ages of one and eight, and in good health. Plus, there isn’t a system in place to handle all the offers. That’s when Savard realized the cause was bigger than Angus. "With all these people coming forward, we want to try to find a way to use that information to build a better system to help more dogs," she said. She is collecting all of the names and trying to coordinate with local veterinarians to get a dog blood donation project up and running. Angus’ owner Kimberly Tamblyn has also been blown away by the response. "It really means a lot, the amount of people that have been contacting me over social media and saying their dog is either a registered donor, or is big enough and healthy enough and wants to be. 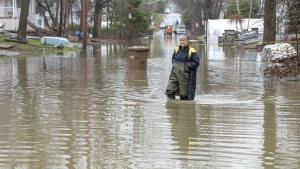 It's amazing how many people have come forward," she said. She said the idea of dog blood donations had never even occurred to her until Angus got sick. "It's a really big need and it's really important that the story get out there, not just in Angus's case, but for everybody," said Tamblyn. Savard said she will be sending out updates just as soon as they are ready to move forward. She said it is important to realize there is a shortage of blood donations not just for dogs, but people too. Both could be improved. "There's not enough blood donation in general, blood donation all around is a cause that needs more attention. Donate your blood, donate your dog's blood. Go donate together, you know what I mean," said Savard with a laugh. "Just do what you can, when you can."